Across the nation, schools are faced with a complex dilemma involving sleep-deprived students. In the stressful high school environment, students are often overloaded with assignments and activities outside of class, leading to them having to stay up to ludicrous hours to get everything done. This often results in missing out on several hours of valuable time to rest and recharge after students have returned home in the evening. Schools are tasked with making a difficult choice: is it worth it to decrease student after-school workload for the benefits of increased awareness and concentration that come with a healthy amount of sleep? Edina High School school nurse Gretchen Gosh thinks that late night screentime is a major factor playing into a sleepless student body, as it interrupts the brain’s normal daily cycle of alertness and drowsiness, known as the circadian rhythm, and takes away time in the morning and afternoon in which students are able to focus and concentrate. She says that the victims of this effect of technology include not only students but teachers and other adults as well. “I’d say we have at least one student every day [in the health office] that comes in and just requests a place to sleep. They may not necessarily be feeling sick, but they usually are exhibiting effects of sleep deprivation like fatigue and a loss of balance,” Gosh said. Gosh insists that this is a solvable problem, and that students can stick to a more rigid schedule around after-school activities and evening routines in order to keep a consistent circadian rhythm for the body to follow. She suggests students make an effort to get off of technology at least one hour before bedtime so that the body has time to adjust and settle into its normal circadian rhythm. “The importance of getting a good night’s rest is something students don’t pay enough attention to. There’s a lot of research and studies about sleep deprivation and how it can affect students in school, and that a lack of a good sleeping schedule can negatively impact academic success for all ages,” Gosh said. 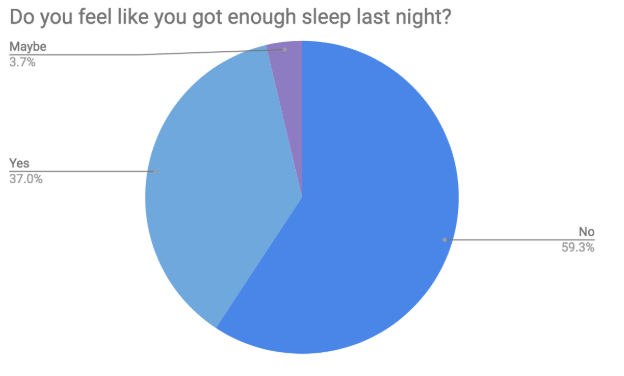 Walking through the halls of Edina High School, one of the most common phrases passed between students is “I’m so tired.” Students do not get the sleep that they need, leading to fighting exhaustion with high levels of caffeine. Unfortunately, there is a prevalent culture of believing that it is “cool” to get less sleep than the body needs. According to the National Sleep Foundation, teenagers need between eight and ten hours of sleep each night for peak performance. Recent studies have found that only 15% of teens report getting eight and a half hours of sleep or more on school nights. This percentage has not always been so low. According to Harvard Health Publishing, the amount of sleep that teenagers get has seen a steep decline in the past 20 years. In Edina, it is considered the norm to be exhausted. In fact, students talk about how tired they are wherever they go. “Nobody gets enough sleep in high school. It is just normal,” senior Jackson Mollet said. 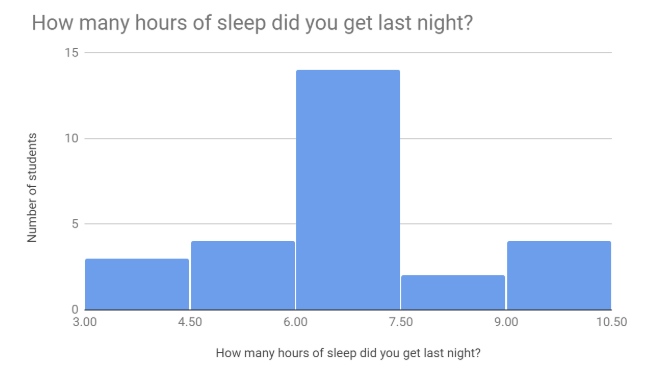 Because students know that everyone around them is not getting enough sleep, it is easy to feel like getting a full night’s rest is not that important. With this normalization of exhaustion, students purposely put sleep as a lesser priority compared to activities and school. In a competitive school like Edina, students feel like they have to be a part of many activities, maintain their grades, and have active social lives. With so many hats to juggle, sleep falls to the wayside in order for students to focus on academics and extracurriculars. According to NBC News, “[experts] say that the pressures of schoolwork, social life, sports or other activities — combined with a relentless media culture — mean that young people may be more tense than ever before.” The fact that high schoolers are more stressed than in the past directly leads to constant exhaustion. “I feel like we are given a lot of homework. A lot of schools have that but especially at Edina….We do a lot of sports and after-school activities, so we are all really stressed. The more stressed you are the less sleep you can get. It’s just really competitive,” senior Bella McCormick said. 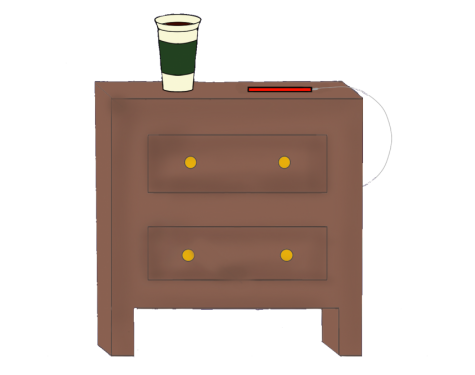 In a society that thinks it is cool to not get enough sleep, many students turn to coffee or other caffeinated drinks to help them power through each day. Adolescents are among the fastest growing group of caffeine drinkers, with more and more high schoolers reaching the point where coffee is needed in order to wake up in the morning. “I have to have some sort of something in the morning to keep me awake… I replace [breakfast] with coffee because then I have enough energy for the day and I don’t have to waste my time making breakfast,” McCormick said. In a competitive environment like the one at Edina, students have packed schedules and perfectionistic mindsets. Being so busy tied with a culture that normalizes being tired has led to a generation of exhausted teenagers who are becoming increasingly reliant on caffeine to keep themselves awake. As high school students, we are all too familiar with sleep deprivation. Up late studying or just procrastinating homework, the few hours we get every night are precious, but very few people understand the effects of insomnia on sleep cycles–specifically dreams. Sigmund Freud, a famous 19th-century Austrian psychologist, pioneered the study of dreams and psychoanalysis–a branch of psychology that aims to release repressed emotions and experiences to make memories of the unconscious conscious. To this day, there is still a lot that we do not know about our dreams. However, there are many studies that try to explain this seemingly simple yet complex mystery of the mind. Dreams are the stories and images our minds create while we sleep. When someone is sleep deprived, they typically have greater brain activity while they are sleeping; dreaming is increased and generally become more vivid. Dreaming occurs primarily during the rapid eye movement (REM) stage of our sleep cycles– quick, sharp movements of the eyes under closed eyelids. In REM, our brain activity uncannily reflects that of a lucid state. However, our bodies lie still in a paralyzed state, keeping us from acting out the stories we dream. Sleep is an escape and a way that students can relax and let go of their day-to-day worries, right? Wrong. Studies have shown the stressful situations we encounter in our daily lives infiltrate our dreams. According to author Netta Weinstein, a social and environmental psychologist at Cardiff University in Wales, our minds are wired to hold onto intense social experiences. If we are facing a strenuous hardship, it is typical for a similar situation to play itself out in our dreams. Negative experiences in our lives impact our ability to get a good night’s sleep. Stress builds worry, which leads to dreams that reflect the anxiety response in the brain. The response, however, is interchangeable. Researchers have found that anxiety not only disrupts sleep, but bad sleep patterns also cause anxiety. Overall, vivid dreams and deep sleep may serve as warnings of more serious sleep issues than previously thought. 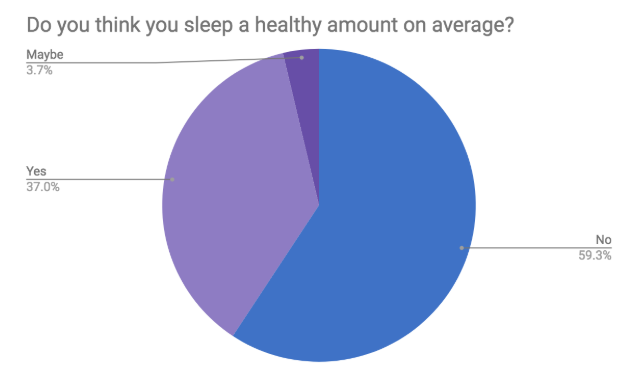 Students should be more aware of their sleep patterns, and make sure to balance school and rest to get the proper amount of effective sleep. What are students dreaming about?